A few minutes walk from our Residence Hilda in Florence there is San Marco Square, with its National Museum of San Marco, located in the monumental part of an ancient Dominican convent. Considered a "minor" venue, mainly due to its location outside the usual museum tours in Florence center, the San Marco Museum is instead a 1400 architectural masterpiece, built by Michelozzo, trusted architect of the Medici family; it houses the best collection in the world of works by the Florentine painter Beato Angelico, who lived for years in the convent of San Marco Square: his most famous works exhibited here include the Pala di Annalena, the Triptych of St. Pietro Martire, Madonna with Child, Judgment Day. 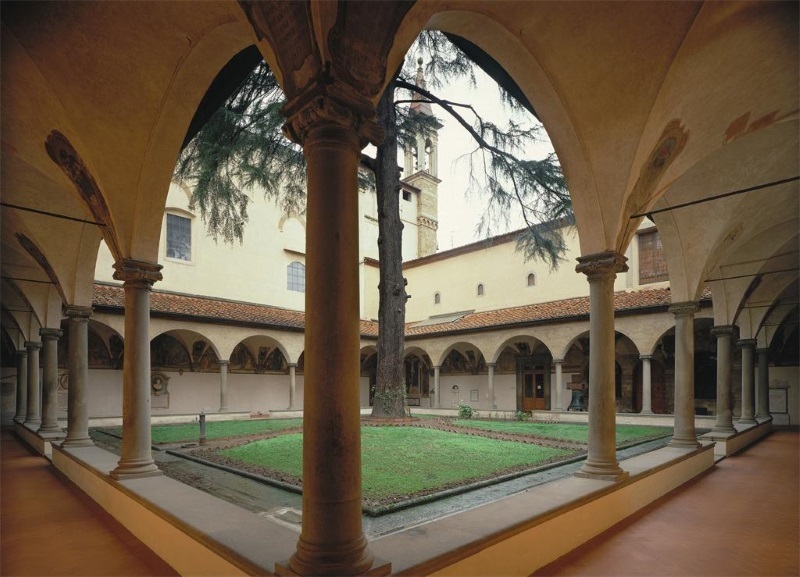 The museum walk is beautiful and enchanting, as it develops through the halls of the old convent, the refectory, the corridors, the cells of the monks, the guesthouse, the cloister: in addition to paintings and frescoes by Beato Angelico you can admire works by Fra' Bartolomeo, Domenico Ghirlandaio, Alesso Baldovinetti, Jacopo Vignali, Bernardino Poccetti, Giovanni Antonio Sogliani, just to name a few. We at Residence Hilda can only recommend to all guests a visit to the San Marco Museum.